The General Data Protection Regulation, or GDPR (Regulation EU 2016/679) is a regulation of the European Union introduced to improve and unify personal data protection of individuals within the European Union. The GDPR enters into application in May 2018. 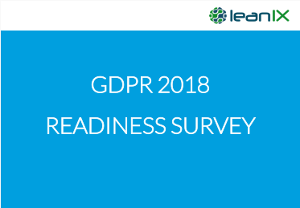 Based on input from our clients we created an example GDPR Readiness Survey you can use in your company. Just fill in the form and get the survey.